Mandi has the highest number of 671 visually challenged registered voters, and Lahaul and Spiti district the minimum 21 electors. 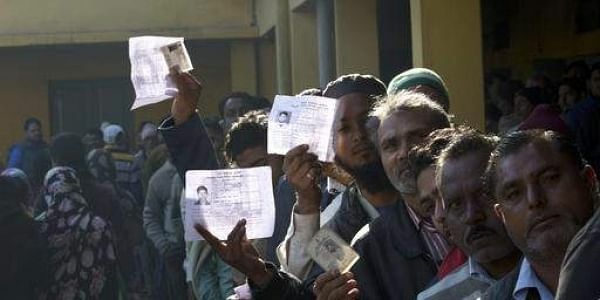 SHIMLA: A total of 1,844 visually challenged persons will exercise their franchise in the November 9 assembly elections in Himachal Pradesh, Chief Electoral Officer Pushpendra Rajput said here on Tuesday. There are 50,25,941 voters in the state. Kangra district has 82 visually challenged registered voters, Hamirpur 85, Shimla 60, Kullu 319, Una 51, Bilaspur 187, Chamba 62, Solan 183, Sirmour 37 and Kinnaur district 86 electors. He said the Election Commission had introduced Braille signage features on electronic voting machines to facilitate these persons to cast votes. All Presiding Officers have been provided with Braille ballot paper sheets to assist Braille-literate voters. Elections to the 68-member Himachal assembly will be held on November 9, while counting of ballots will take place on December 18 along with those cast in the Gujarat elections.